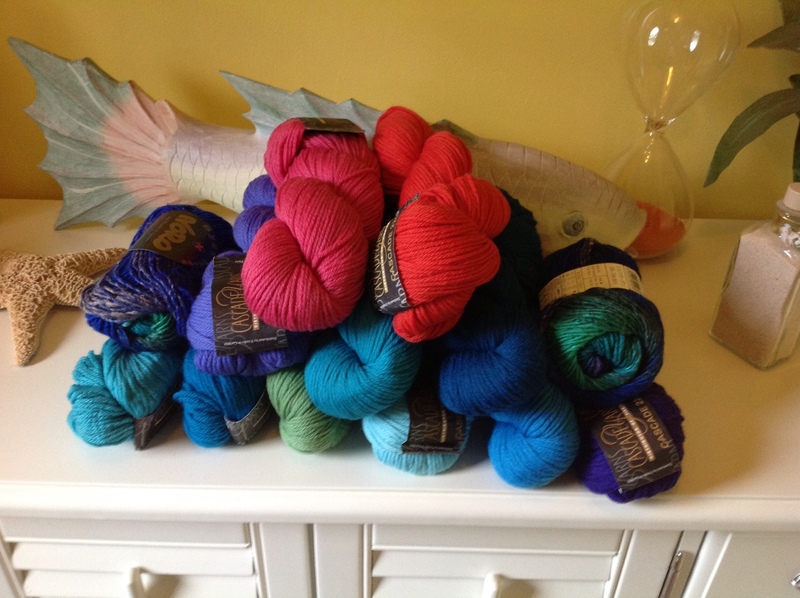 I’ve finally gotten the colors for my next project (after the granny throw). It took me several months to pick them out. It’s so hard to actually tell exact color from online but Jimmy Beans Wool is wonderful. I’m going to use Cascade 220. This project is going to be a wall hanging for over my couch. If you look at my other posts you’ll see that my house is ocean themed. The walls in the living room are turquoise and the couch wall is really big. Right now I have a picture on it that’s just swallowed. I think I’m going to do a Magic Square. Basically a big granny square but more tightly woven. I don’t want the hanging to get saggy. I’m still thinking about somehow putting the hanging on like a “stretcher”. I see what I’m wanting in my head. I just have to see if it can be done. I’m thinking I might also do a couple rings of variegated using Noro Royal #8. I’m not sure though. It’s not quite what I expected.